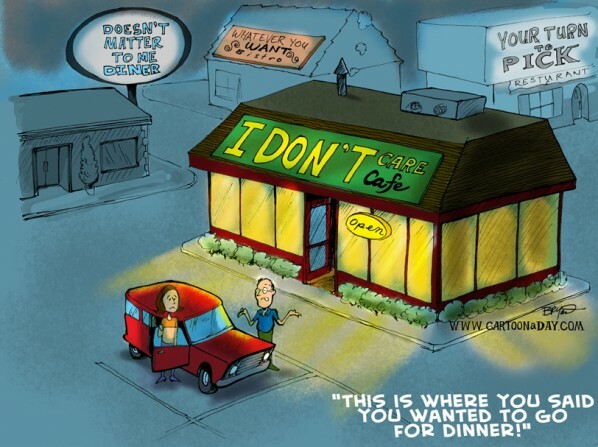 And here’s a fun, nighttime version of the “I Don’t Care Cafe” cartoon. Inspiration: Funny cartoon about deciding what to eat for dinner. 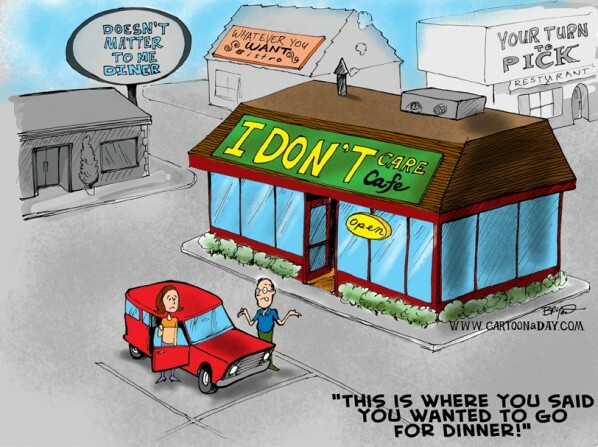 A cartoon husband and wife debate where to eat.